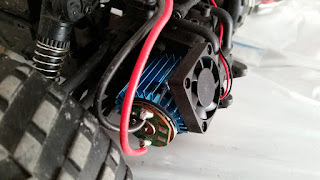 Photos of a heatsink with fan on an L969. L959 buggy should be similar. 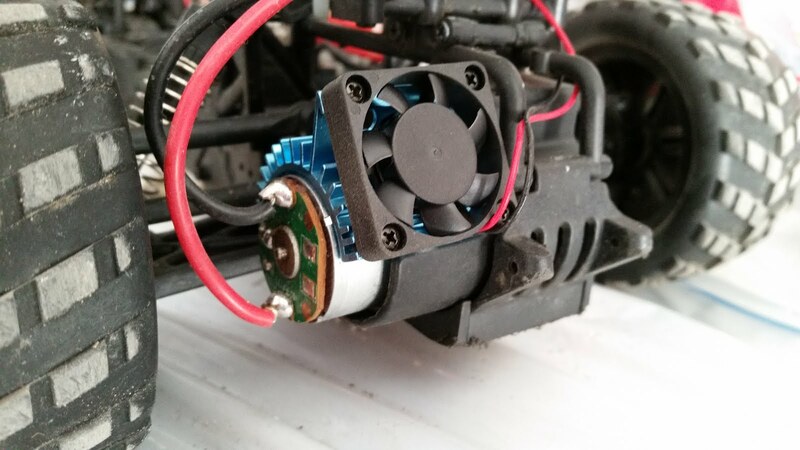 The heatsink is available from Banggood here. I'm not going to say it makes a difference since I have not tested it. However, the heatsinks alone seem to do a poor job because none of them fit the motor tightly enough and they tend to move / get loose. As the motors get damn hot, and as I've already been sidelined once due to a burned-out motor, I think the fan is probably a good idea to stretch motor life. 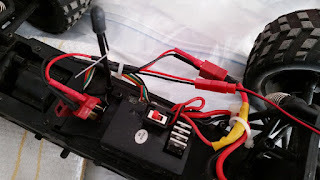 I could not find an appropriate tee / Y-adapter that had the correct plugs to connect the JST-plug fan to the T-plug battery of the L969. You can easily make one by splicing some T connector harnesses and JST connector harnesses together. I had bought a bunch of charging adapter cables and so had all the parts lying around anyway. 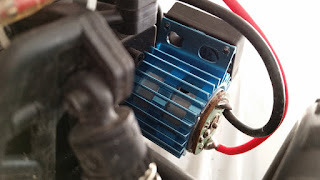 With this style of harness, the fan is on whenever the battery is plugged in, which IMHO is not a terribly bad thing. 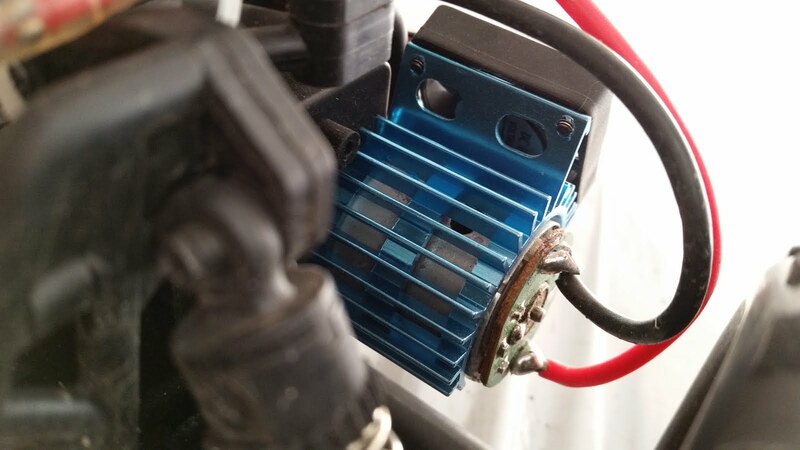 For example, it keeps the fan running even if the car is not moving or if the low-battery cutout operates, helping to cool down a hot motor.